Over 700 students have been arrested in Canada during the latest night of rallies against tuition fee hikes and the adoption of controversial bill that is widely seen as a tool to limit freedom of speech, association and assembly. 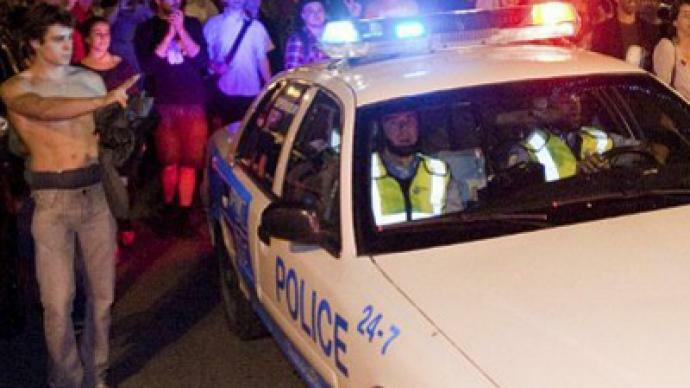 ­Police in Montreal dispersed unsanctioned protests and arrested 518 demonstrators on Wednesday night. The arrests were also made in Quebec City, where some 170 were detained, and in Sherbrooke. There were no reports of injuries or casualties. Police used kettling tactics to encircle the protesters and contain them within a small space. People reportedly threw projectiles such as fireworks and bottles at officers, forcing them to carry out extensive arrests. Most of those detained have already been released. Some face $1,000 fines. 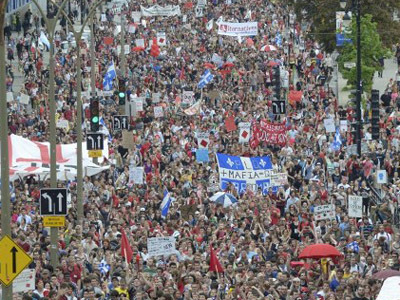 ­For over 14 weeks, Canada has been facing the most sustained student demonstration in its history. The protest on Wednesday started as a peaceful march of thousands, just like the majority of previous rallies. 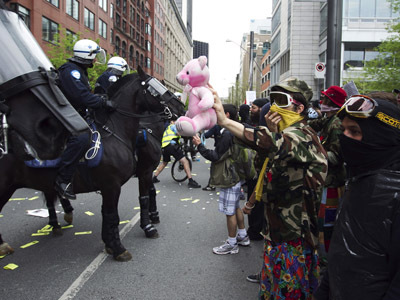 In order to give the police another non-lethal means of pressure on protesters, Quebec’s legislative assembly adopted a bill that introduces enormous fines of $24,000 to $122,000 against unions and student organizations which do not stop their members from protesting. Individuals found guilty of organizing a protest now face a fine of some $34,000. On Tuesday, the movement marked the 100th day of demonstrations against the tuition hikes of around $250 per year with a massive rally in Montreal. Over 120 people were detained following the event.